A new sneak peek for Detective Pikachu showed fans a brand new shot of Snubbull. 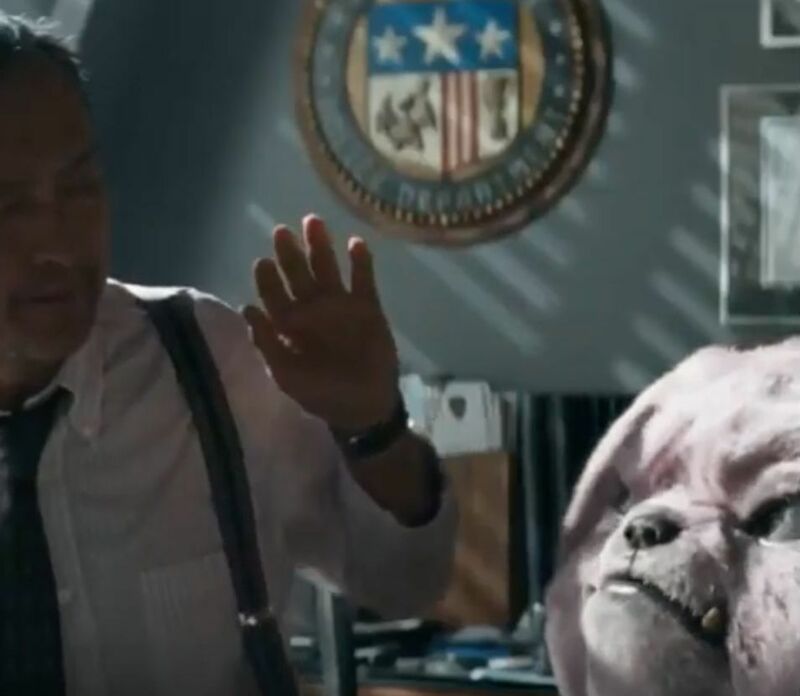 FOX aired a brand new TV spot for Detective Pikachu, which gave fans their best look yet of Snubbull, a Fairy-type Pokemon that resembles a bulldog. The Pokemon is seen next to Ken Watanabe's Detective Yoshida, with Yoshida giving him a very uncomfortable look. Interestingly, Snubbull looks a lot bigger than it does in the main series games. Snubbull is only supposed to be two feet tall, but Snubbull's head makes it look a lot larger, at least from the brief moment we saw it. However, the Pokemon looks instantly recognizable, just like the movie's other "live action" Pokemon. Whether Snubbull is Yoshida's partner Pokemon, or possibly a witness to a crime remains to be seen. Technically this isn't the first time we've seen what Snubbull would look like in the upcoming movie. Snubbull was one of a few Pokemon previewed during the release of the first trailer last fall. "The story begins when ace detective Harry Goodman goes mysteriously missing, prompting his 21-year-old son Tim to find out what happened. Aiding in the investigation is Harry’s former Pokémon partner, Detective Pikachu: a hilariously wise-cracking, adorable super-sleuth who is a puzzlement even to himself. Finding that they are uniquely equipped to communicate with one another, Tim and Pikachu join forces on a thrilling adventure to unravel the tangled mystery. Chasing clues together through the neon-lit streets of Ryme City—a sprawling, modern metropolis where humans and Pokémon live side by side in a hyper-realistic live-action world—they encounter a diverse cast of Pokémon characters and uncover a shocking plot that could destroy this peaceful co-existence and threaten the whole Pokémon universe." Detective Pikachu comes out on May 10th.